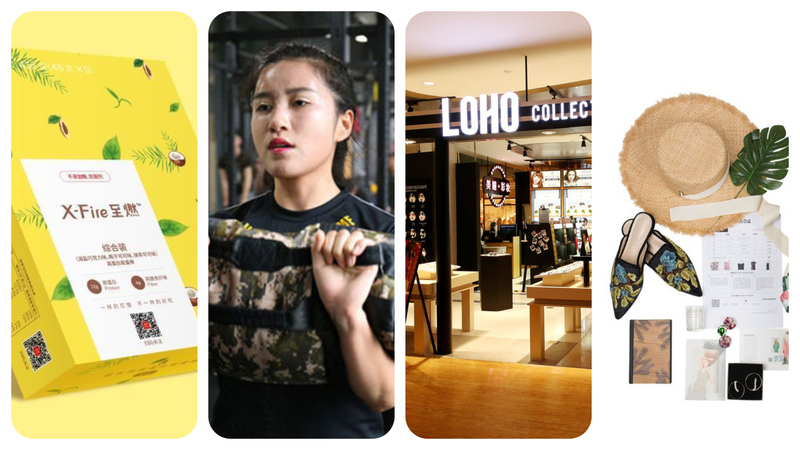 Fast fashion eyewear brand LOHO announced on September 11th that they raised nearly 100 million US dollars in Series C funding from Dazheng Capital. The funding will be mainly used in supply chain building and brand promotion. Established in 2012, LOHO owns two eyewear brands, LOHO and VINGTAS. With sales channels including official website, e-commerce and self-owned retail stores, LOHO provides brand eyewear and related products. Currently LOHO has 400 direct-managed stores in Beijing, Shanghai, Shenzhen, Nanjing and other cities. Members has reached 2.5 million, with a repurchase rate of 40% and a purchase cycle of around 9 months. Womenswear subscription platform Abox announced on September 12th that they raised Series A funding. Sequoia China was the lead investor. XVC, DCM, K2VC and Chuxin Capital also participated in the investment. Previously Abox raised Series Pre-A funding in August 2017. DCM was the lead investor. Zhen Fund, K2VC and Chuxin Capital also participated. The total funding from these two rounds amounts to tens of millions of US dollars. The new funding will be mainly used for product optimization and technical team building. Abox went online in December 2017. According to users’ body figure, style needs and preferences, the platform sends fashion boxes to users, who can try at home and decide to purchase or return. With nearly 100,000 registered users, Abox has cooperated with 280 fashion brands, including Sandro, Kate Sake, BCBG Max Mara, and Free People, currently. Custom-made shirt e-commerce platform Custom-made Shirts announced on September 11th that they obtained millions of yuan angel investment. The investor information was not disclosed. Targeting businessmen, the platform has developed a men’s shirt tailoring system based on WeChat mini-program. Users can input their information including height, weight and preferences on shoulder shape, posture, belly and chest. The system will calculate the dimension for best-fit shirts. High protein snack brand X-Fire announced on September 13th that they obtained millions of yuan seed investment from Tisiwi. Established in November 2017, X-Fire targets fitness female customers. Main products are high-protein nutrition bars. Each bar weights 48 grams, containing dried fruits, nuts, egg white and other natural foods, without any added sugar, flavors or preservatives. Each box contains 9 bars and is priced at 120 yuan. Three flavors, matcha cocoa, coconut cocoa and sea salt chocolate are offered. Weidian is the main distribution channel. Gym space operator XONE Gym Space announced on September 9th that they obtained angel investment from Xinyi Capital. The detailed amount was not disclosed. The new funding will be mainly used to build ONE+X lifestyle space, featuring group class space with the possible extension to social, travel and consumption areas. XONE attracts users with group fitness classes, and provides themed travel, fashion consumption and social services. The first XONE space is located in Sanlitun SOHO in Beijing. The group class space can accommodate 20 to 30 members. Childcare content e-commerce platform Nicomama announced on September 12th that they raised over one hundred million yuan in Series B+ funding from Fosun Capital. Previously, Nicomama raised 60 million yuan in Series B funding in January 2017. The new funding will be mainly used on the R&D and promotion of pre-school education products. Launched in July 2014, Nicomama WeChat account provides childcare information every day and has developed into a comprehensive childcare company including child-care self-media matrix, selected e-commerce platform and education products. At present, Nicomama has over 16 million subscribers. The monthly e-commerce sales amount is around 60 million yuan. The paid online courses generated over 52 million yuan in the first year.